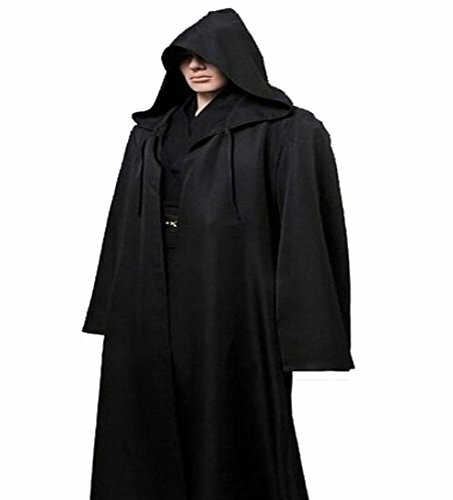 Amayar Men TUNIC Hooded Robe Cloak Knight Fancy Cool Cosplay Costume Black XXL | What Should I Say? Important Notice:We never authorize other seller to sell our¡°Amayar¡±products, We Received Many Customer Complaints Against Other Sellers for Poor Quality,So please make sure you buy the items from Amayar fashion. Kids size measurement: S: Length 37.5" Bust 33.5" Fits Height 44"-48" M: Length 41" Bust 37.5" Fits Height 48"-52" L: Length 45" Bust 39" Fits Height 52"-56" XL: Length 49" Bust 41" Fits Height 56"-61"
Important Notice:We never authorize other seller to sell our"Amayar"products, We Received Many Customer Complaints Against Other Sellers for Poor Quality,So please make sure you buy the items from Amayar fashion. If you have any questions about this product by GOLDSTITCH, contact us by completing and submitting the form below. If you are looking for a specif part number, please include it with your message.